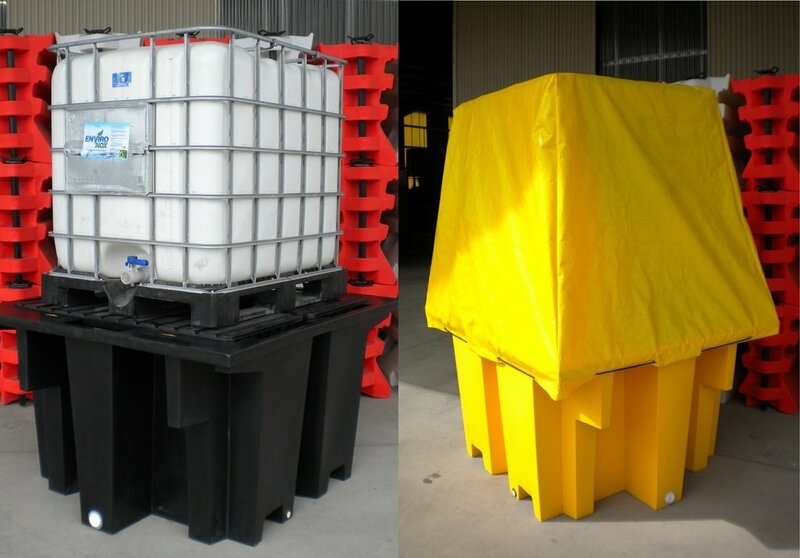 The B.1100 is ideal for all 1000 litre IBCs. The B.1100 is light weight and has a sump capacity of 1100 Litres. It is nestable for economical transport. Dimensions: 1640mm x 1440mm x 900mm. The weather cover is an optional accessory.